Fabulous flavor for holiday recipes or to ramp up everyday dishes of root vegetables, meat, fish and potatoes! 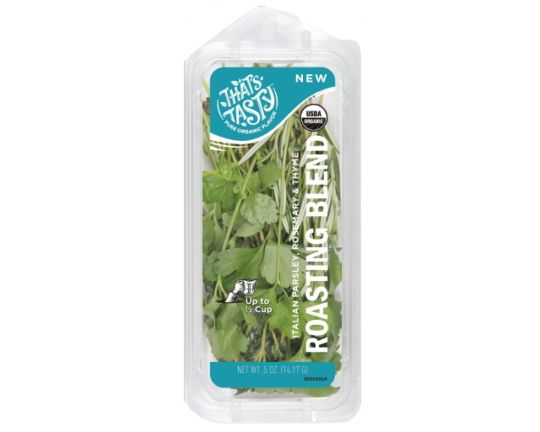 This blend contains organic italian parsley, organic rosemary and organic thyme— the perfect flavors to add rich and hearty flavor to food while roasting. It’s your choice to chop herbs before you roast or simply add whole herbs to cavity of meat or inside your cooking dish while roasting your vegetables. If you added whole herbs during roasting, remove stems before serving. Break out the roasting pan!